It is sometimes said that you can not eat from a nice table. The purchase of a designer dining table from the assortment here at Nordic New proves you the opposite. A designer dining table combines a stylish and luxurious look without any problem with excellent comfort. Many people also fear that such a table is not easy to maintain, but that also does not have to be a problem. If you order one of the designer dining tables from the assortment here at Nordic New you will not only notice that they look beautiful and are very comfortable to take place, they can also be easily maintained, giving them their authentic look effortlessly for a long period. It goes without saying that everyone has certain requirements in his or her head when it comes to purchasing a design dining table. One person will, for example, wish a light color in this respect, while someone else will find more for a darker version. Whichever style and color you prefer, it all belongs to the possibilities here at Nordic New. We offer our customers such a large and diverse range of design dining tables that there is really a copy for everyone. Discover our design dining tables in Rotterdam / The Hague. Buying a dining table is always something special. After all, you make daily use of your dining table and it also forms a striking part of the kitchen. Because of all these different reasons, it goes without saying that you might want to see the kitchen table that you wish to buy in real life. This is no problem. After all, we of Nordic New do not have a web shop exclusively. You can also visit our real, physical showroom in Bleiswijk where you can view a large number of design objects yourself. In this way you will immediately discover how that one, beautiful design dining table looks in real life, so that you will not face any unpleasant surprises. A visit to our showroom between Den-Haag and Rotterdam is undoubtedly a must! Get your design dining table in the house today! Have you found a nice design dining table in our assortment that meets all your expectations and would you like to order it? That is of course perfectly possible. 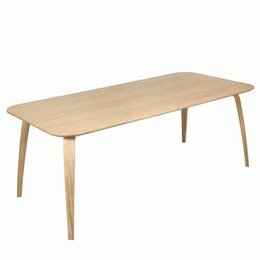 A design dining table at home here at Nordic New not only ensures that you have a really nice table, in addition, it is also very qualitative so you are always assured of an excellent life. 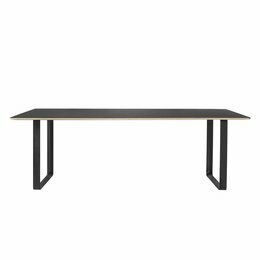 Add to that the affordable price tag as well as the free shipping to both the Netherlands and Belgium and you immediately have enough good reasons to order your design dining table here at Nordic New!